Calling all little green thumbs! You will love introducing the “field” of plant study to your Baby Botanist with this irresistible board book. Baby Scientist is the board book series that puts toddlers in the shoes of scientists. Baby Botanist studies plants. In her lab coat, she looks at plants both large and small. She finds plants growing in many places. Can plants grow on water? What foods come from plants? How does a seed grow? Find out with Baby Botanist! 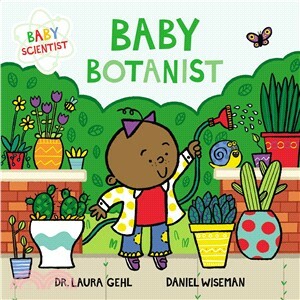 The Baby Scientist board books bring fun, accessible science concepts to baby’s world using simple language, recognizable settings, and vibrant art.